In my previous two blog entries, we examined three critically endangered species of tree frogs in Honduras and shared plans for the Detroit Zoological Society and the Honduras Amphibian Rescue and Conservation Center to begin a head-start program for tadpoles of these species to help increase their populations. If you haven’t had a chance to read these entries, click here and here. Now, let’s take a peek at what the rescue center facilities look like, and the long-term vision for in-country involvement. The facilities are currently located in El Jardin Botanico y Centro de Invastigacion Lancetilla, a botanical garden and research center run by Universidad Nacional de Ciencias Forestales. Construction began in 2015 through a collaboration of multiple institutions, including Omaha’s Henry Doorly Zoo and Aquarium, National Autononous University of Honduras, UNACIFOR, Operation Wallacea, Expendiciones y Servicios Ampbientales de Cusuco and the Honduran forestry department. By the spring of 2018, construction was completed and our team inspected the facilities. The team included myself, staff from Omaha’s Henry Doorly Zoo and Aquarium and the rescue center’s co-founder Brandon Greaves. The inspection was to assure that the facilities are ready to provide the best care, biosecurity and welfare for animals that will arrive later in the year. The ingenious rescue center facilities utilize shipping containers in order to provide housing for the animals. The containers (called “pods”) are ideal for amphibian conservation and care as they are secure, well insulated and easily mobilized should the facility need to be relocated. 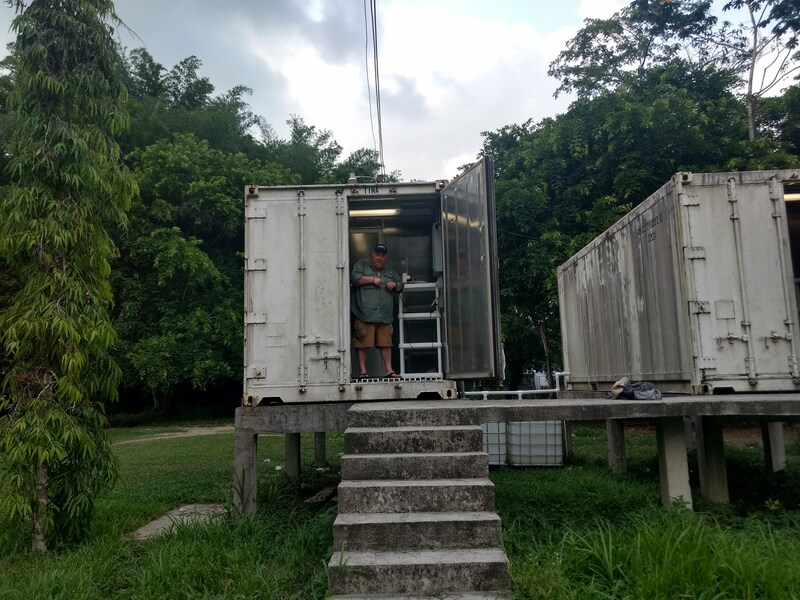 The pods have full plumbing and electricity, with climate control to suit the needs of our three target species that live in the cool mountain habitats. Each pod is outfitted with a vestibule for caretakers to prepare for a bio-secure entry (which requires clean up and changing clothes). 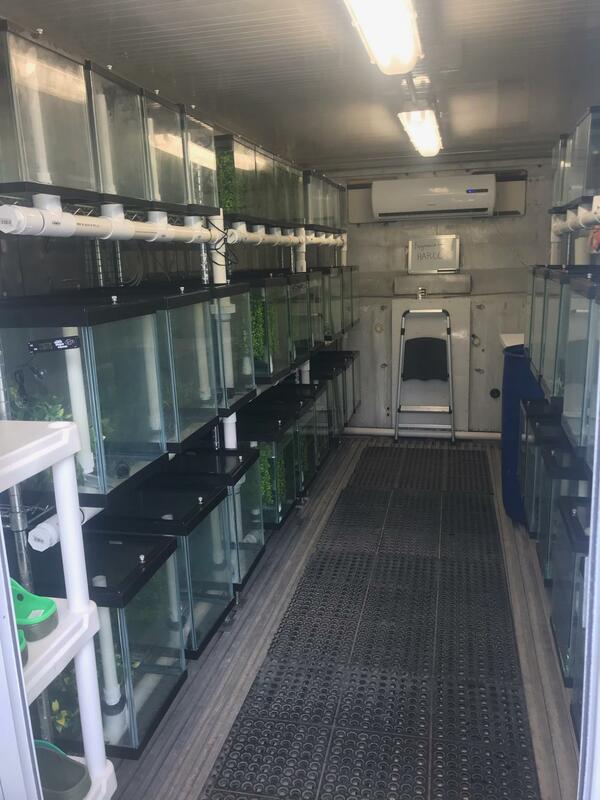 The pods are outfitted with habitats for up to 1,200 animals (400 from each of the three target species: exquisite spike thumb frog, Cusuco spike thumb frog, and mossy red-eyed tree frog). Water for the animals is treated with reverse osmosis in order to make it safe for amphibians. All water and other waste leaving the pods is cleaned to prevent any contamination to animals of the Lancetilla Botanical Gardens. Live food items (flies, crickets, and other insects) are bred in-house in order to provide ideal nutrition and prevent non-native insect concerns. The individual habitats inside the pods are species specific, catering to the needs of each of the three animals with current, temperature, and substrate. In short…. I would like to live in the pods! The rescue center facilities are in excellent condition and are ready for animals. As we prepare to bring animals in for head-starting, the rescue team is searching for the perfect local Honduran in order to care for amphibians full time. 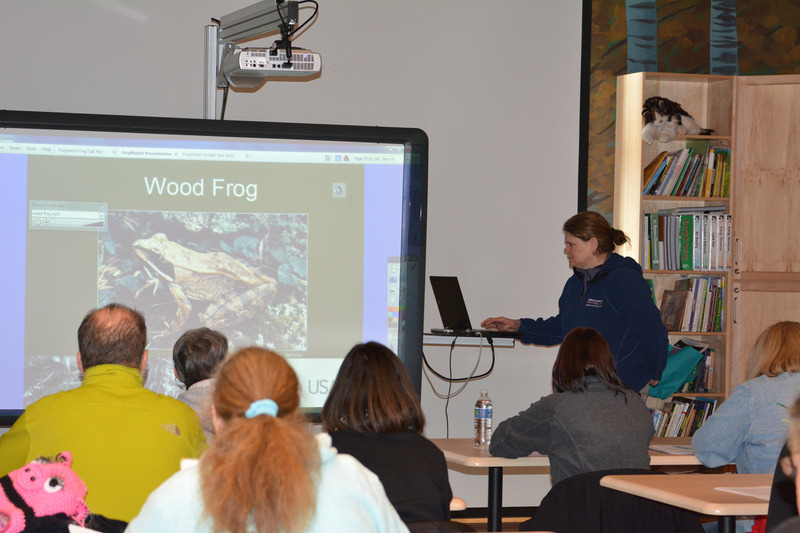 This individual will train at the Detroit Zoo’s National Amphibian Conservation Center in the care of amphibians. Once head-starting has begun, we will build outreach programs involving local Honduran schools and local researchers. Ultimately, the goal is for the rescue center to be entirely Honduran-run. Our Honduran partners are enthusiastic and we are excited to see their involvement grow. 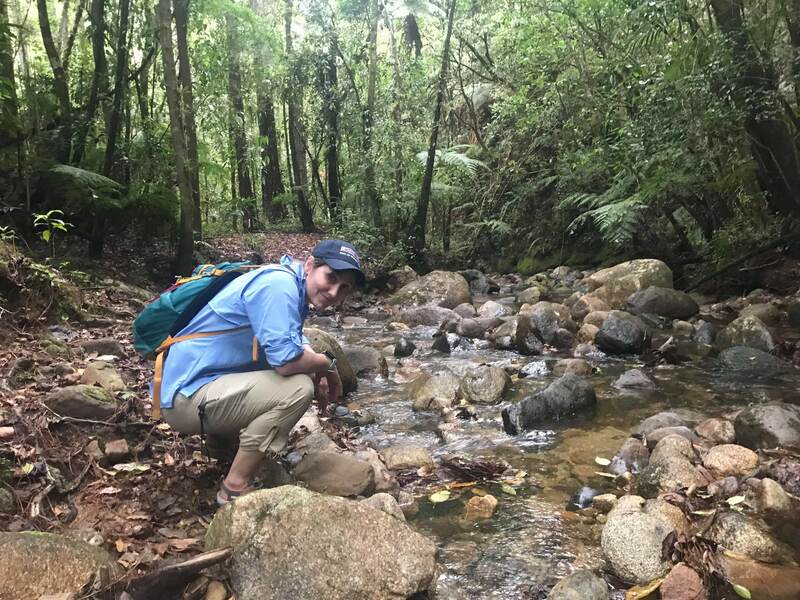 Honduras is a country that does not receive much assistance in conservation, and the Detroit Zoological Society is proud to be a part of this groundbreaking project saving amphibians in this beautiful nation. We will definitely share more updates as we begin head-starting animals soon! 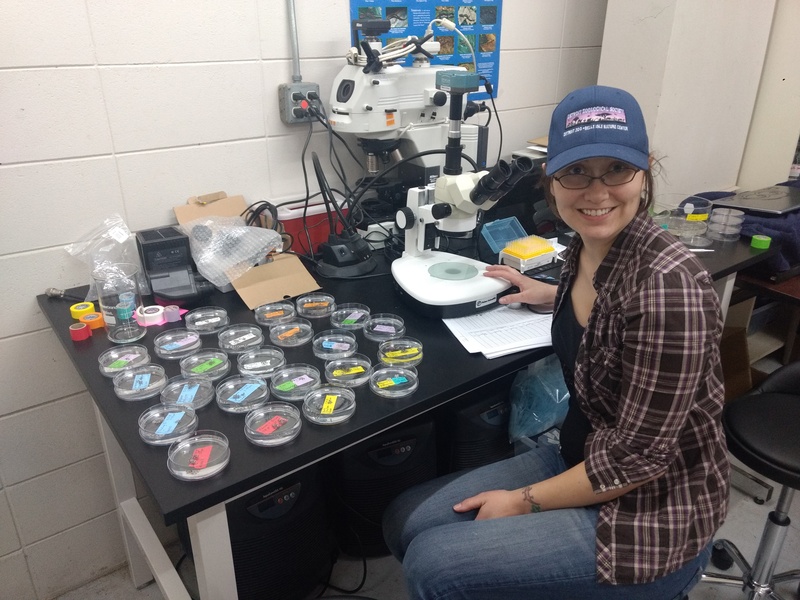 – Dr. Ruth Marcec is the director of amphibians for the Detroit Zoological Society and oversees the National Amphibian Conservation Center at the Detroit Zoo. 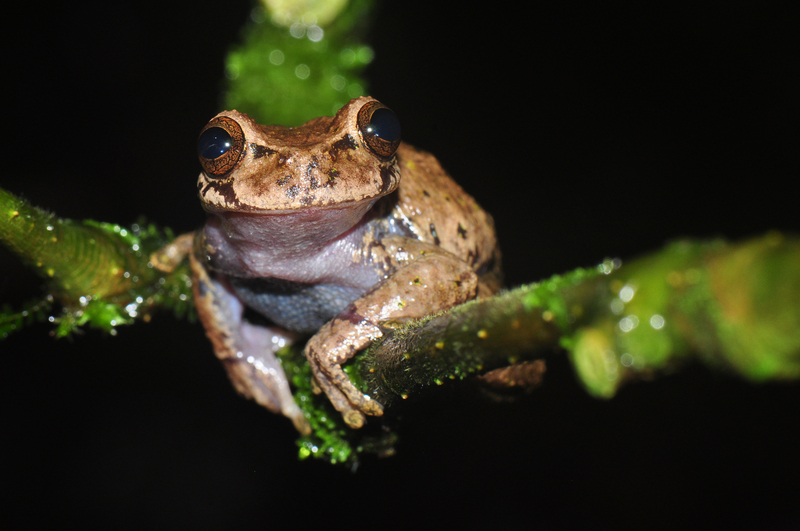 As part of the Detroit Zoological Society’s (DZS’s) continuing efforts to save amphibians from extinction, we recently introduced readers of the DZS Blog to three species of endangered frogs that live in the Cusuco National Park in Honduras. These species are at high risk of extinction and we aim to help their populations. If you haven’t had a chance to read my previous blog entry, click here. 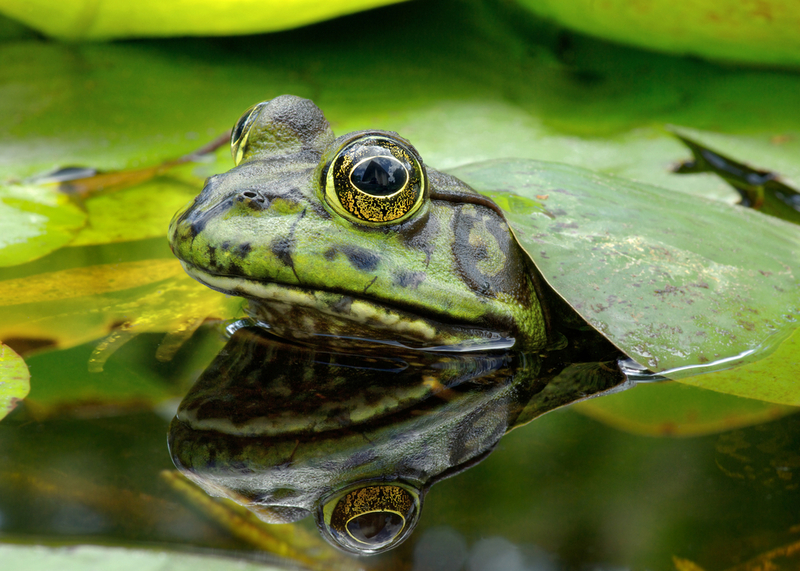 Amphibians are facing an extinction crisis, and one of the most tangible causes is disease. In my previous entry, I mentioned the chytrid fungus and how it is causing amphibian deaths globally. Many theories exist as to where chytrid originated and how it spread, but regardless of the answer to those questions, the fungus has now been found in almost every environment all over the world. Removing the fungus from the environment does not seem to be a possibility since it has become so widespread, as this could potentially damage the ecosystem and other lifeforms in it. So, the question becomes: How do we save the frogs? Frogs are most susceptible to chytrid when they are young – tadpoles and juveniles have the highest death tolls as a result of this fungus. 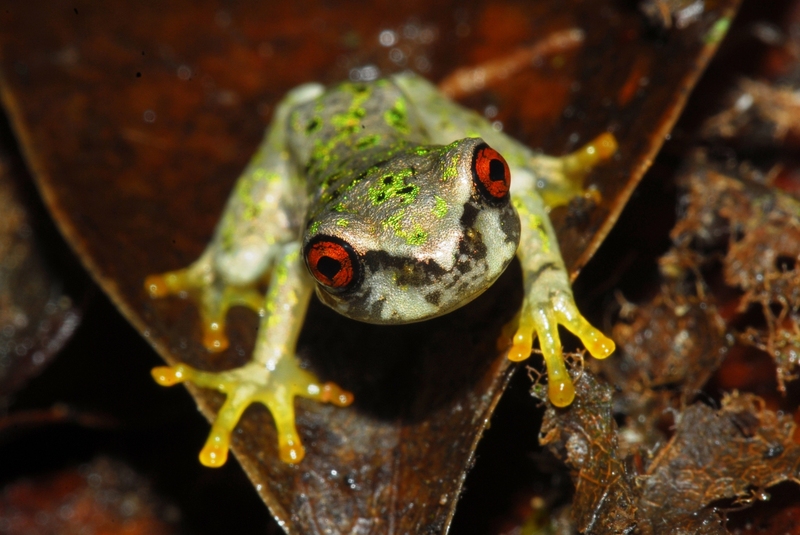 The tadpoles of the three target species we are focusing on in Honduras (the exquisite spike thumb frog, the Cusuco spike thumb frog, and the mossy red-eyed tree frog) are especially sensitive to chytrid. The tadpoles have very strong mouths, which they need to be able to use as a “suction” to hold onto rocks in rapid waters of rivers. 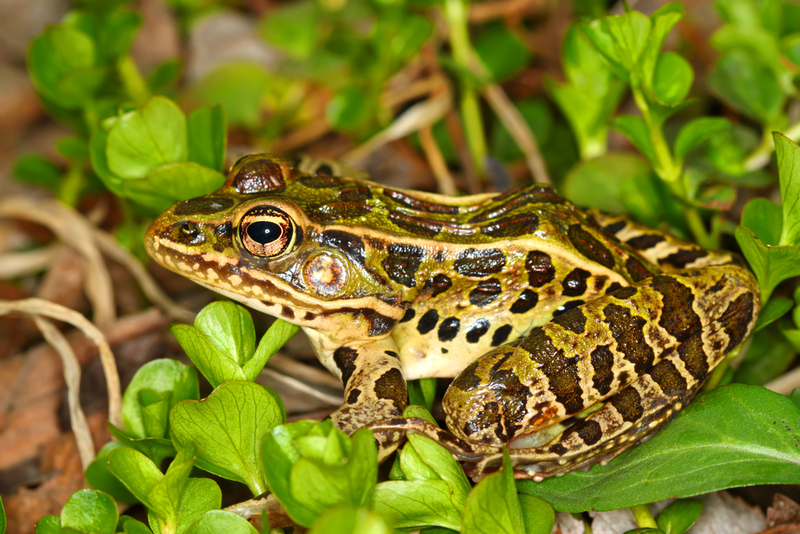 Doing so is vital to their survival, and as such, chytrid is particularly damaging to these animals. 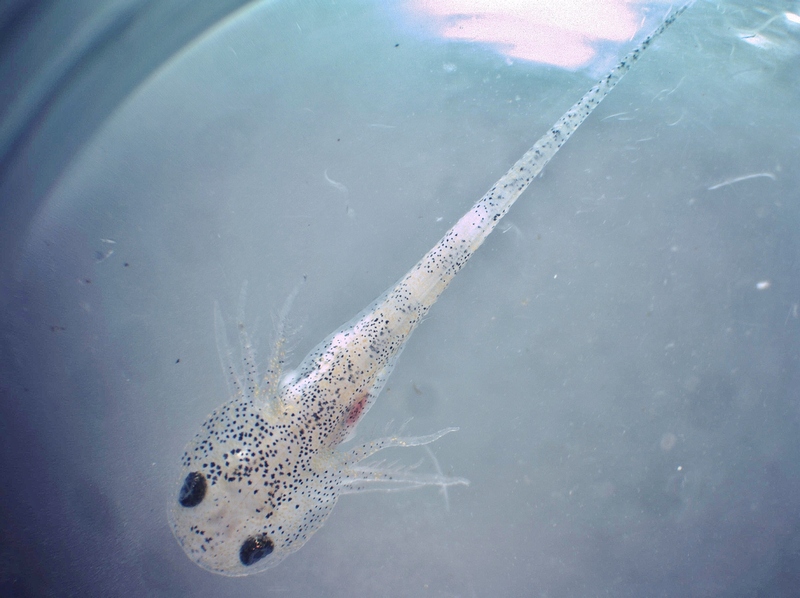 Chytrid is attracted to keratinized skin cells, which are found in the mouths of tadpoles. The resulting infection causes them to lose function of their mouths, which can cause them to have trouble eating and difficulty with “suction” onto rocks. The loss of this suction can cause tadpoles to be swept downstream into unsafe waters. This is all devastating; however, we came up with an idea for how we might be able to help. 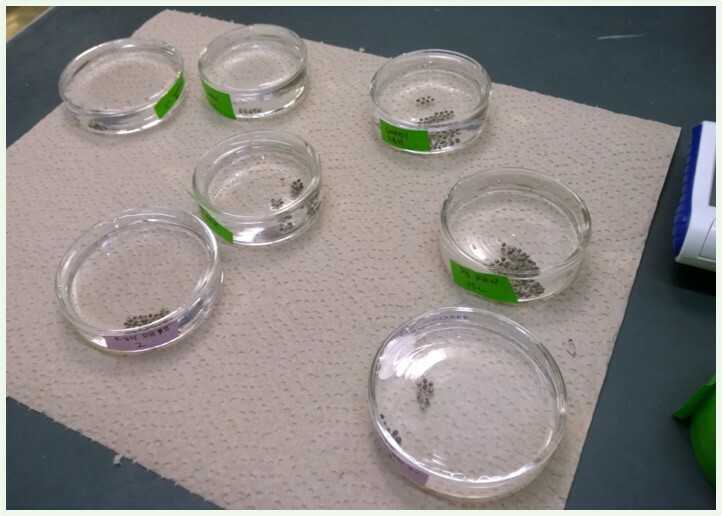 What if we could remove tadpoles from the stresses of the environment during the stage in which they are most sensitive to chytrid? Using our skills and expertise in caring for amphibians, we might be able to nurture them in a pristine environment. The lack of stress would potentially prevent symptoms of the fungus from appearing. Alternatively, if symptoms did arise, caretakers could treat the fungus to assure survival. Then, when the animals have reached adulthood, they could be returned to the wild. 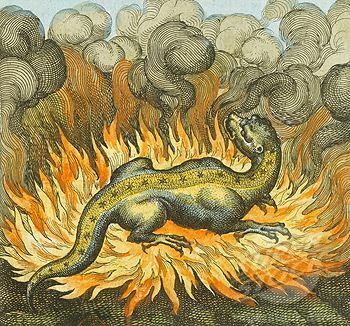 This method of rearing animals through sensitive stages is called “head-starting”, and is a method frequently used with amphibians. It has shown to be beneficial in instances just like this, where adults survive better than offspring. Long term, the hope is that the increased population from the head-started animals would be enough to booster the population into stability. 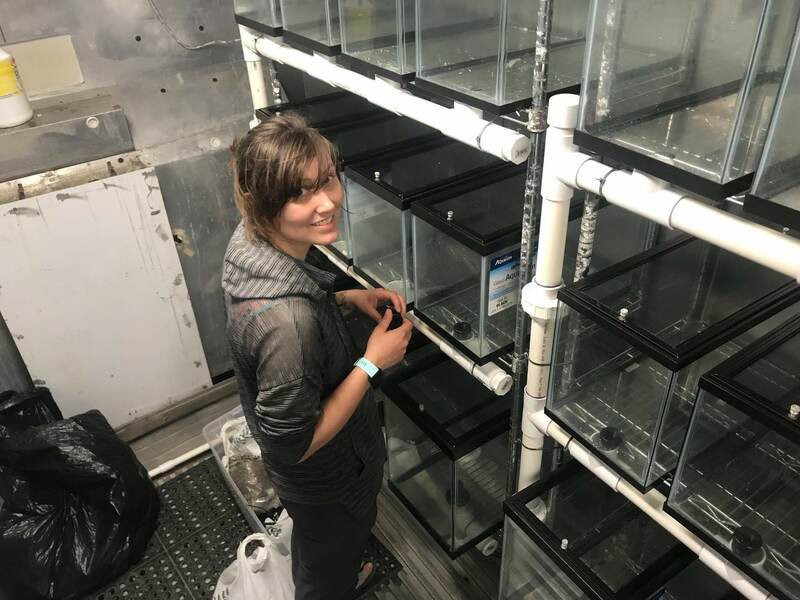 The Detroit Zoological Society and the Honduras Amphibian Rescue and Conservation Center are ready to start head-starting animals. Facilities have been built in Honduras in order to provide tadpoles a safe place to live and grow until they are ready for release. In an upcoming entry on the DZS Blog, we will go inside the rescue center’s facilities and show you what the tadpole rearing experience will look like! The Detroit Zoological Society is collaborating with the Honduras Amphibian Rescue and Conservation Center to preserve three species of endangered frogs from the cloud forests of the Cusuco National Park in Honduras. The rescue center is an in-country facility that aims to re-populate these three endangered species through programs such as head starting, captive breeding, habitat protection and community outreach. Amphibians all over the world are suffering extinctions, and the species in the Cusuco National Park are at a particularly high risk. There is a fungal disease, called chytrid, that is causing drastic population declines amphibians globally. Chytrid fungus has been particularly devastating to amphibians that live at higher elevations in the tropics, because the fungus thrives in lower temperatures and high humidity. 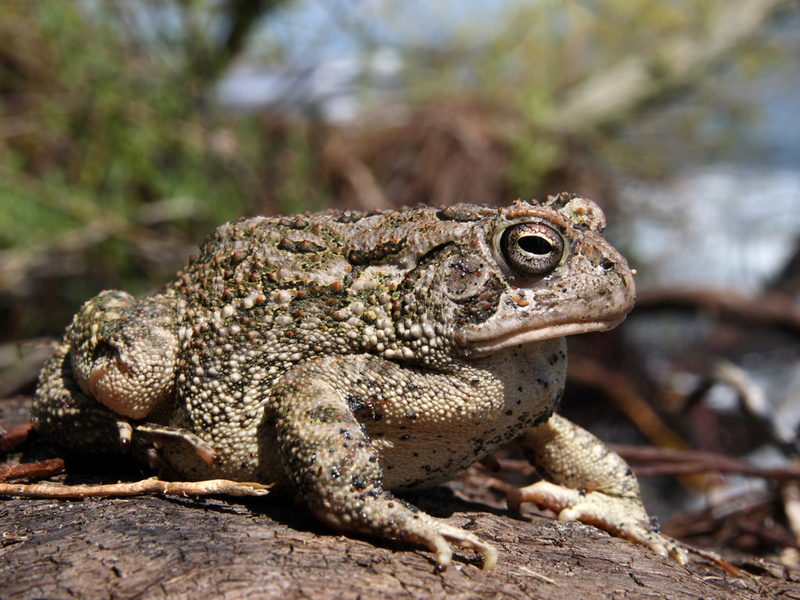 This fungus likes to live in keratinized skin cells, and because amphibians rely on their skin to breath and exchange nutrients, it can be very deadly. 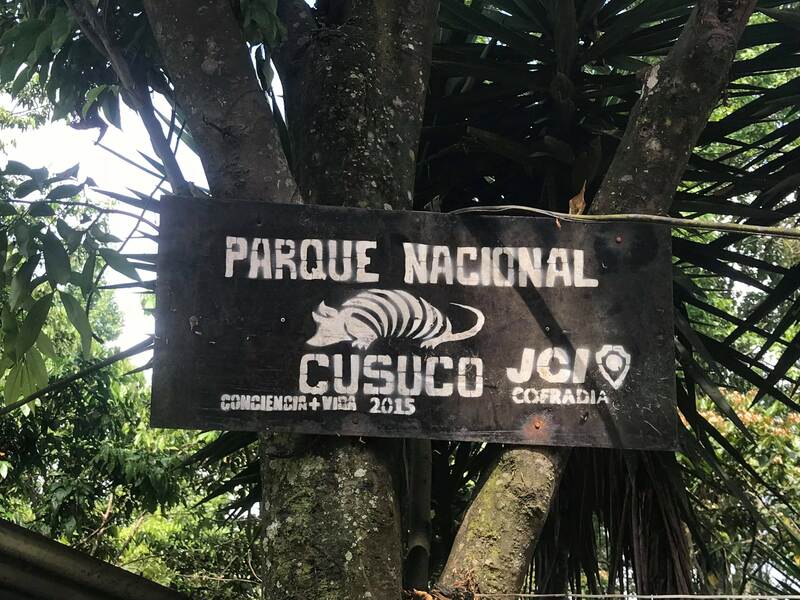 The Cusuco National Park is a protected area that is home to many rare amphibian species who, unfortunately, are subjected to this fungal disease. The Detroit Zoological Society is working with the rescue center to investigate how to help save these animals from extinction. 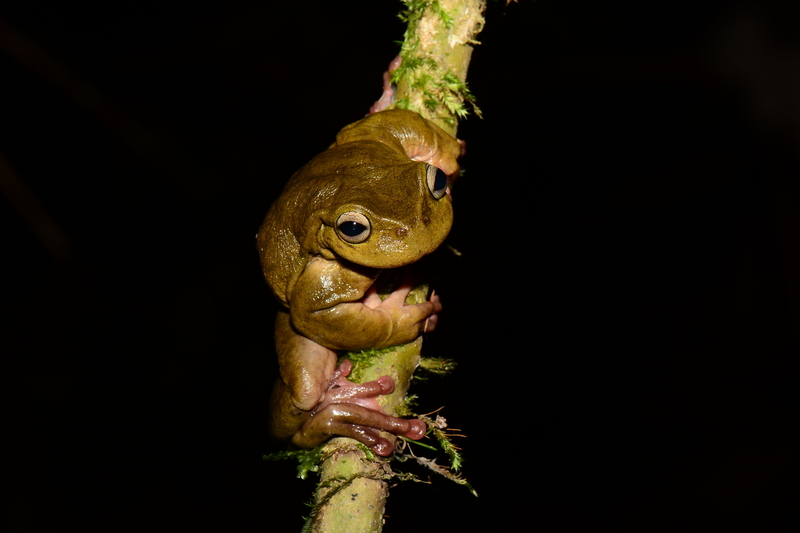 While there are many species of amphibians in Honduras that need help, we decided to start our mission with three “target species” of critically endangered tree frogs. Once we find the best way to help these species, we can apply what we learned to others locally. These three target species are the exquisite spike thumbed frog (Plectrohyla exquisita), the Cusuco spike thumbed frog (Plectrohyla dasypus), and the mossy red eyed frog (Duellmanohyla soralia). All three of these frogs have been found to have the highest infection rates with chytrid fungus in the Cusuco National Park and are at high risk of extinction. 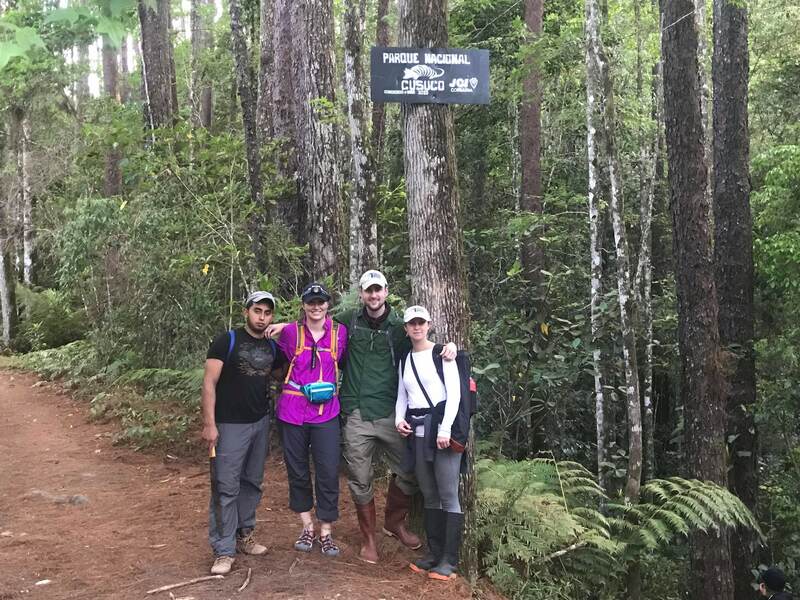 This spring, we conducted fieldwork in Honduras, visiting the natural habitat of the three target species to help gain a better understanding of their behavior. We were able to observe some never-before-seen behaviors of these interesting animals that will help us increase our chances of protecting them. Before I get too carried away, let me introduce you to the three species! Exquisite spike thumb frogs are the largest tree frog in the Cusuco National Park at approximately 4 inches long. These frogs are found exclusively in the small protected area of the park, and are listed as Critically Endangered by IUCN. The frogs get their name from the large boney projection that males have on the sides of their thumbs, called a prepollex. It is theorized this special appendage is used for male combat, but combat has not yet been observed in this species. Additionally, the call of these frogs has never been heard (or at least recognized) by human ears. Cusuco spike thumb frogs also only live in the small protected region of the Cusuco National Park; they are also listed as Critically Endangered. This species also gets its name from a prepollex in the males. Cusuco spike thumb frogs are medium-sized, growing to about 2 inches. Their call is a “quack” noise, similar to a duck. When threatened, these frogs have been observed jumping into leaf litter and burying themselves, which is unusual behavior for tree frogs. Mossy red-eyed tree frogs are the smallest of the three target species, at a maximum of about 1.5 inches, and are also listed as Critically Endangered. 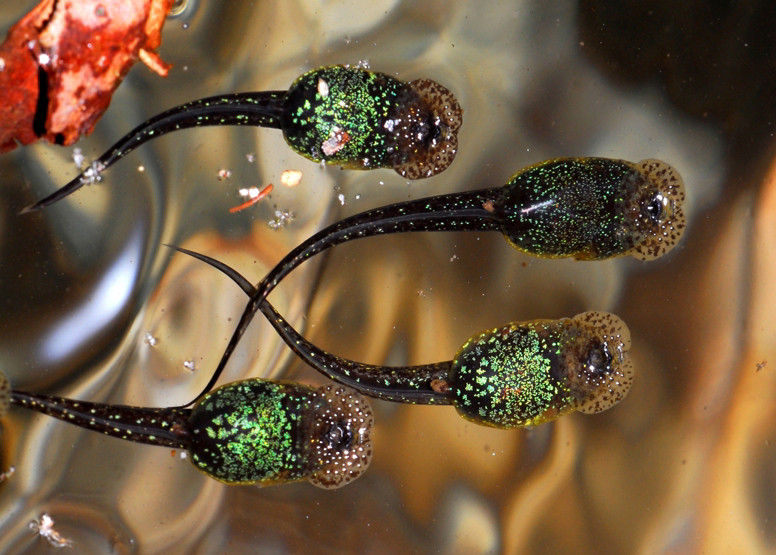 As tadpoles, they have a striking green sheen to them, and they perform an odd behavior. They will flip over on their backs to swim – bellies up – in the rapids of waterfalls. Mossy red-eyed tree frogs can be heard calling with a series of chirps and clicks. The Detroit Zoological Society and the Honduras Amphibian Rescue and Conservation Center have a plan to save these amazing animals. I’ll be sharing more details about this plan in upcoming blog entries, so stay tuned! 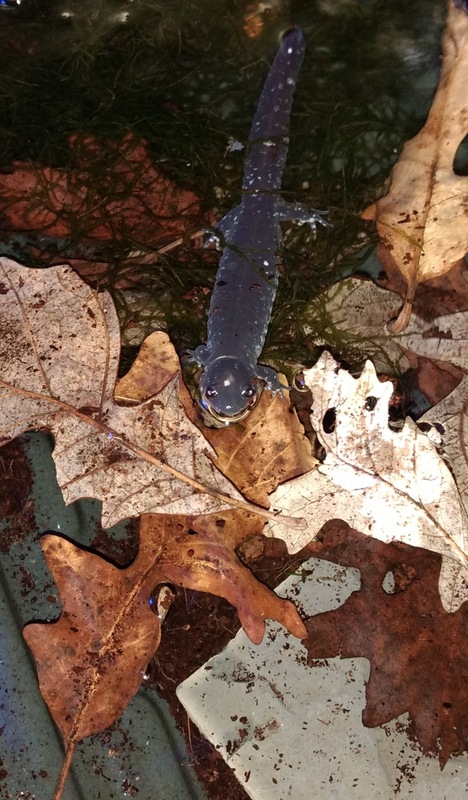 I recently participated in a partnership to save an incredible species of amphibian: the blue spotted salamander (Ambystoma laterale). This animal is regionally endangered in parts of the Midwest and about 10 years ago, the Iowa Department of Natural Resources started a partnership with Omaha’s Henry Doorly Zoo. They wanted to breed these salamanders for release at locations where they once thrived but have now disappeared. 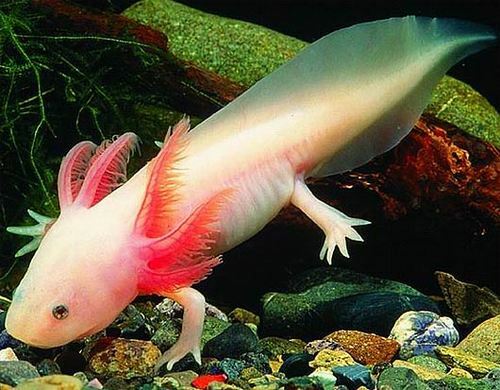 Having had little success in doing so thus far, the organizations reached out and requested my amphibian “sexpertise”. I travelled to Omaha to deploy some of my special reproductive techniques with the blue spotted salamander assurance colony living there. It comes as no surprise that these salamanders proved very difficult to breed. 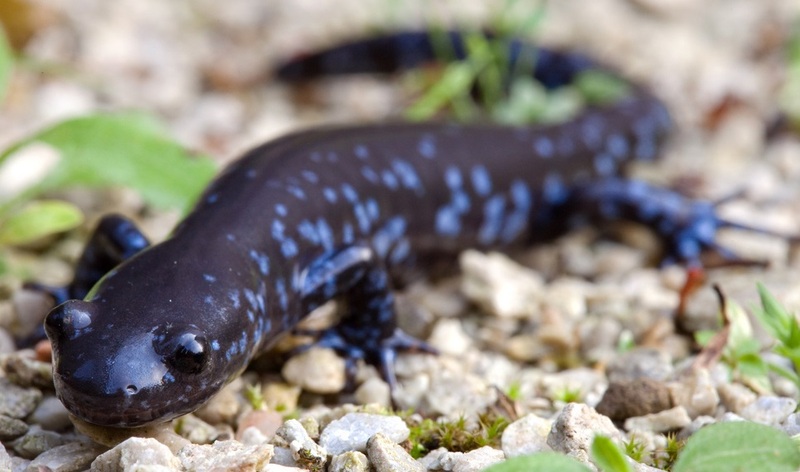 Blue spotted salamanders need an extraordinary amount of “salamander romance” in order to breed naturally. These animals undergo winter brumation (a hibernation-like state). In the spring, they will emerge from brumation when it begins to rain and when the temperature rises in order to migrate to breeding ponds. Their migrations can be over several miles, and most salamanders return to the same pond every breeding season. 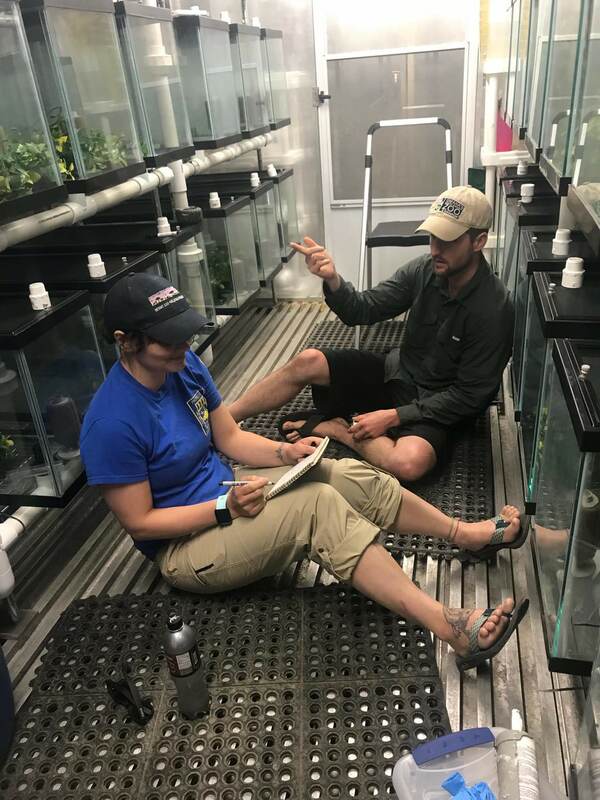 In captive breeding situations, we attempt to recreate the cues that the salamanders take from the wild in order to get them “in the mood” for breeding. We cool them down and offer them the opportunity to undergo brumation. We place them in rain chambers so they can experience an “indoor storm”. We also attempt to create a naturalistic pond for them to breed in with proper vegetation and leaf litter. Sometimes, despite our best efforts, the natural cues we provide artificially are not enough to trigger breeding. 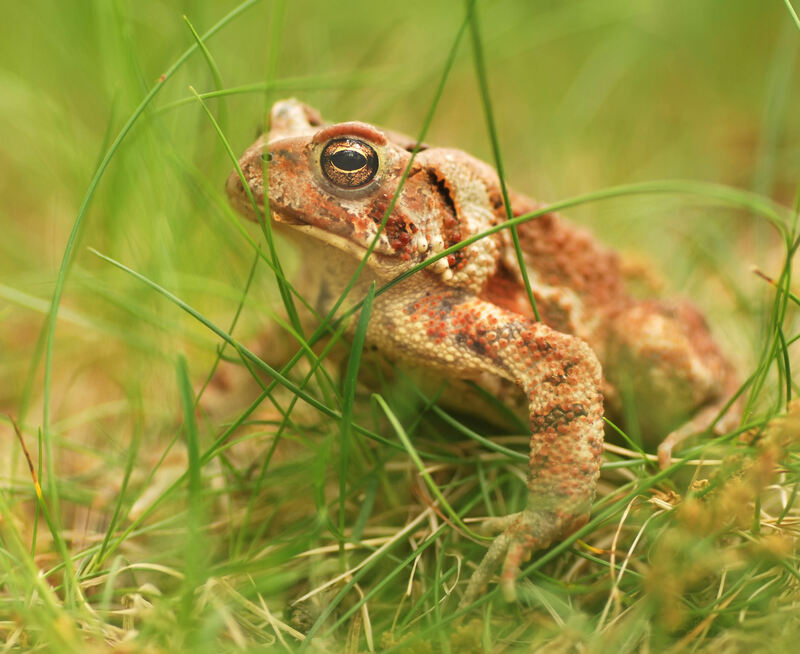 Many amphibians are having difficulty breeding in the wild, due to changes in the climate and their habitat. Given that the natural environment is not currently providing ideal cues for breeding, it is especially difficult to perfectly recreate environmental breeding cues for animals in human care. When captive animals do not breed in response to the cues we provide, we often use hormone treatments to give them a little boost. These hormone protocols are meant to trigger breeding behaviors as well as the release of sperm and eggs. In the best-case scenario, the application of hormones will result in the animals breeding on their own. In the worst-case scenario, the animals will not breed on their own after the application of hormones and an in vitro fertilization (an artificial fertilization of the eggs with the sperm in a petri dish) will take place. 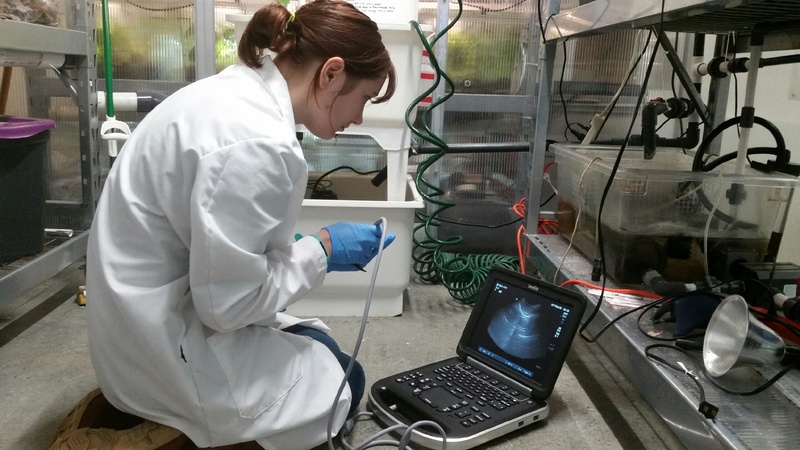 We used a combination of natural cues and hormones to stimulate breeding in the blue spotted salamanders. The amount of hormones I gave to the female blue spotted salamanders was determined by how developed their eggs looked on ultrasound. While giving the animals hormones resulted in many interesting behaviors, the salamanders did not breed on their own. After giving them time to breed on their own without success, I attempted in vitro fertilization. In order to perform this technique, I needed to collect eggs from the females and sperm from the males. There was one big problem with attempting this technique – the male blue spotted salamanders were not producing sperm. Fortunately, I had a back-up plan! The blue spotted salamander is no ordinary salamander. In the wild, many female blue spotted salamanders breed through a special adaptation called kleptogenesis, meaning that they steal sperm. You read that correctly: sperm thieves. 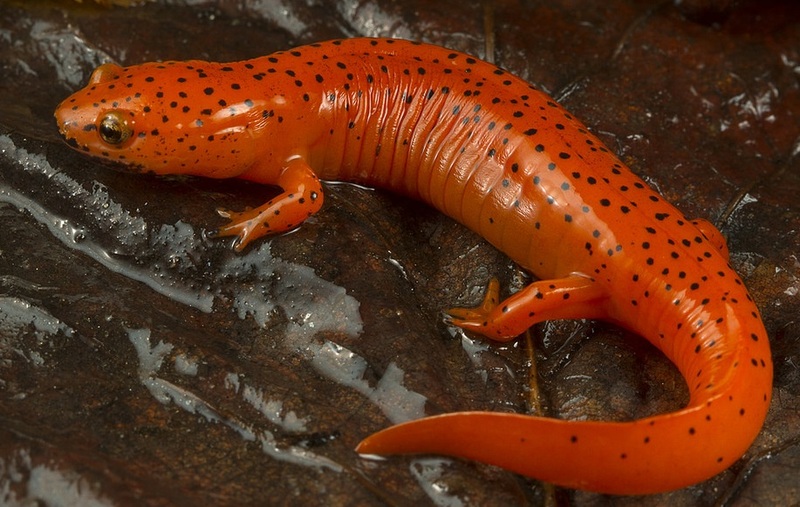 Most salamanders undergo internal fertilization. This occurs when the male deposits the sperm in a ball – called a spermatophore – into the environment. Through a courtship dance, the spermatophore is collected by the female. 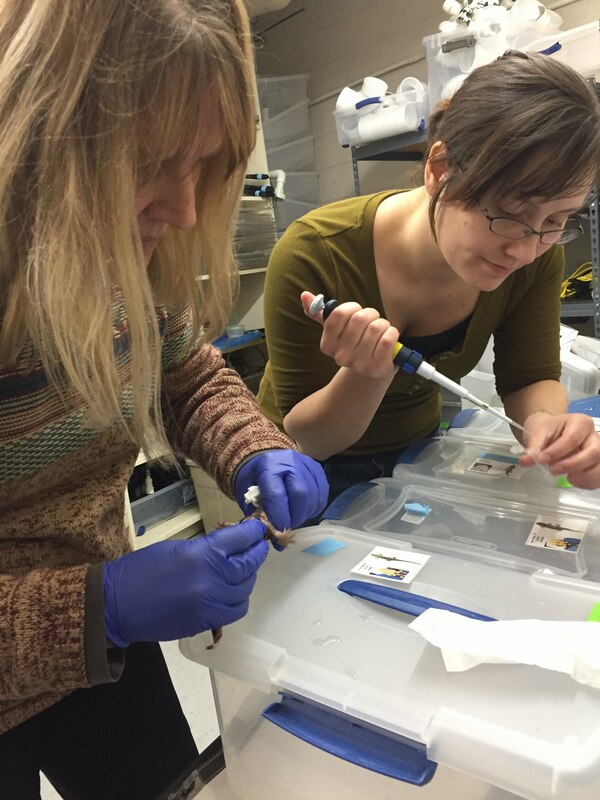 These special female blue spotted salamanders will find and collect spermatophores deposited by males from other, closely related, species (including Jefferson’s salamanders, tiger salamanders, and small-mouth salamanders). This is the part where it becomes complicated. Rather than using the sperm to fertilize their eggs and have hybrid offspring, an enzyme in the sperm activates the egg which begins to grow into an embryo. The rest of the sperm is discarded, and the offspring which develop are essentially clones of the mother. 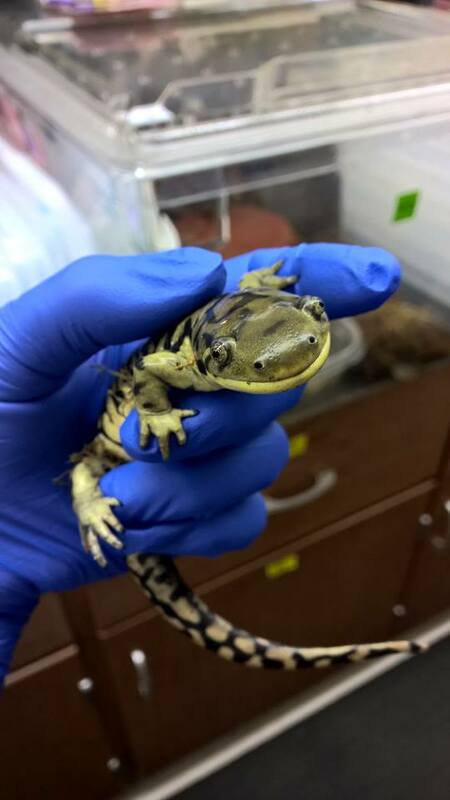 Knowing that blue spotted salamander females are often sperm thieves, I had the Omaha Zoo’s resident male tiger salamanders (Ambystoma tigrinum) on standby. I was able to collect sperm from the tiger salamanders in order to use in the in vitro fertilization of the blue spotted salamander eggs. Unfortunately, the eggs did not fertilize with the tiger salamander sperm. While we did not achieve offspring, we learned what we need to do differently next time around. We certainly will not give up on these amazing animals. We will try to breed the blue spotted salamanders again later this year, using slightly different techniques. Thank you to our partners at Omaha’s Henry Doorly Zoo and the Iowa DNR.